All Hope Church members, leaders, and visitors are encouraged to attend and participate in our church vitality meetings this weekend. Rev. Wayne Frazier will be visiting our church and guiding us through the process of reflecting on and improving the life of our church body. 9:30 am – 10:15 am: Rev. Frazier will teach and lead a “Church Vitality” class during Sunday School: What are the Challenges? What is Church Vitality? What is your part as a member? 12:30 pm: Rev. Frazier will meet with our present officers and officer candidates and their families for a lunch and a debriefing time. 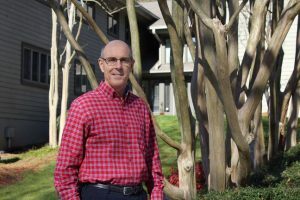 Wayne has served in the ARP Church for 42 years by planting two churches, one in the Kennedy Space Center area during the development of the Space Shuttle and one in Austell, GA on the west side of Atlanta. From 1991 until 2016 he served at Back Creek Presbyterian in Charlotte. In about 10 years that rural farming community transitioned to an urban community with two-thirds of the people being African-American and other ethnicities. By God’s grace Back Creek has begun to reflect this wonderful diversity in membership, worshippers, leaders, and staff. Wayne was the moderator of the ARP Bicentennial Synod in 2003. Now that he has retired he is serving half time as the “Church Vitality Coach” for Outreach North America. He encourages churches to be missionaries in our post-Christian culture by developing a biblical vision, mission and strategy to reach their neighbors with the unchanging gospel.